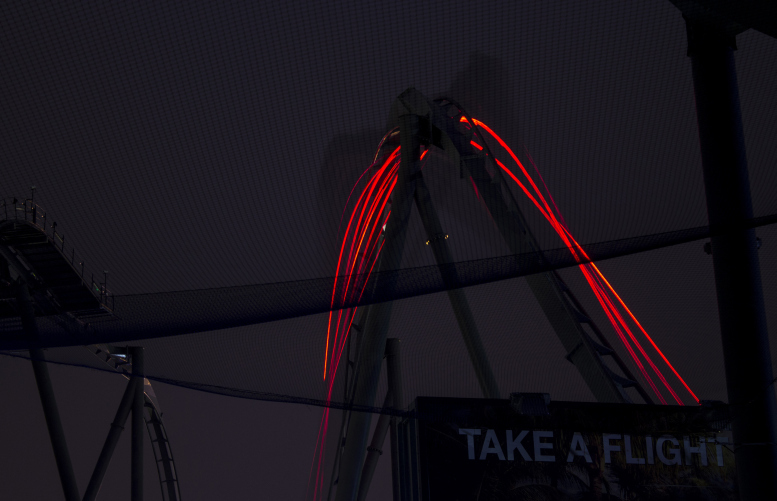 Becky Spencer-Smith is Ride Rater’s Photographer of the Year 2018, with her stunning slow-exposure shot of The Swarm at Thorpe Park. Once again we received a large amount of quality entries, but our team could select only one winner. Congratulations to Becky, who now enters our Hall of Fame alongside our past winners of the competition. Thank you to everyone that entered this year’s competition.